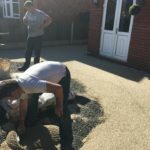 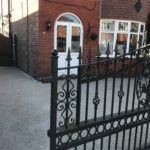 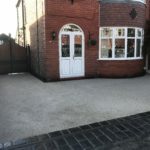 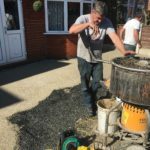 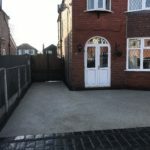 We at Cheshire Metalcraft Ltd in association with contacts can help transform old Concrete, Tarmac, or Block-Paving in just 1-3 days into a beautiful Resin Bonded/ Bound Gravel Surface. 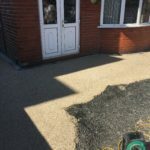 Resin bound stone is a highly durable surface, perfect for creating beautiful driveways and pathways that are puddle free, weed resistant and have no loose stones! 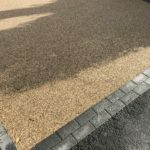 We use UV stable resin that has excellent rainwater drainage and gives a smart, durable, smooth and accessible surface which will stand up resiliently to adverse weather conditions. 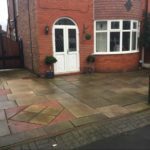 We have many colour samples available and would welcome the oppurtunity to visit your property to create an amazing new contemporary driveway system that will complement your gates and transform your outdoor space.